Stockholm’s Friends Arena is a new national stadium with a high concentration of high-tech solutions, referred to as a fifth generation stadium. Swedish architect Petra Gibb is a member of the Royal Academy of Fine Arts in Sweden. In the Krokholmen house, Swedish studio Tham & Videgård continues their investigation of the theme of the “minimal” holiday home. 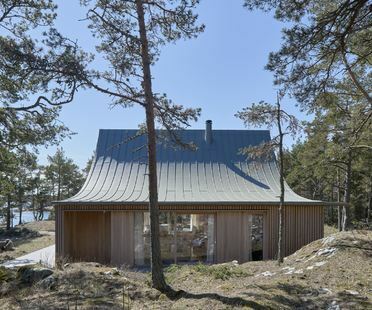 The studio’s fourth house designed for family holidays on one of the islands in the Stockholm archipelago, the Krokholmen house has a wooden frame and a tent-shaped roof. Boutique five-star hostels: original settings and designer low-cost accommodations. C.F. Møller architectural studio designed the new ferry terminal in the port of Stockholm, giving the city a new recreational area. The infrastructure combines an innovative, contemporary terminal with a city park, and is the first project in the urban redevelopment of Norra Djursgårdsstaden, the district linking the city with the port. 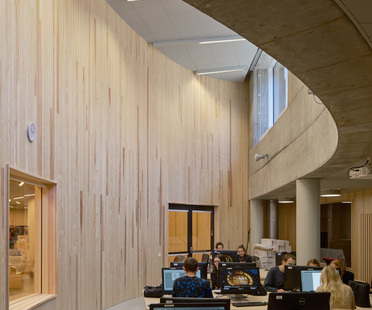 The Royal Institute of Technology (KTH) in Stockholm has a new pavilion for the school of architecture designed by Tham & Videgård Arkitekter. The school of architecture fits into the campus built by Erik Lallerstedt in 1910 while standing out from the historic landscape with its curved corTen facades. 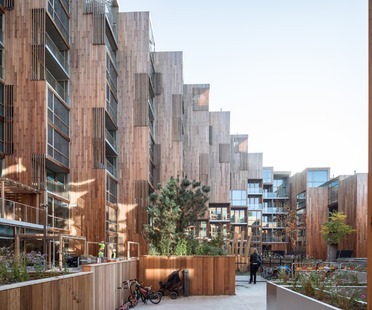 The Träpriset prize, a famous Swedish award for timber architecture awarded every four years, has been presented to Dorte Mandrup Arkitekter for the Raa Day Care Center project.